"Nagtabi ako ng Bibingkoy sa inyo, madaming gustong bumili nun (I set aside Bibingkoy for you. People wanted to buy them already)," she shares. Aling Lolit’s day starts early. After all, the family’s stall at the Cavite Public Market opens at 6 a.m. and mornings are spent preparing food such Bibingkoy, a Cavite City delicacy that was invented by Aling Lolit Alejo’s mother, aling Ika, during the Japanese period. 83-year old Lolit Alejo learned how to make Bibingkoy, a delicacy that you can only find in Cavite City. 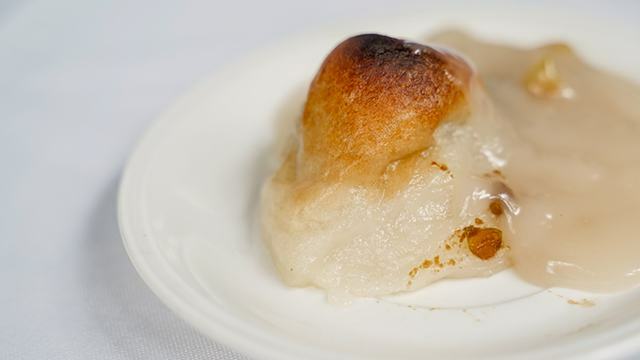 It's like buchi, bibingka, and ginataan all in one—glutinous rice dumplings are filled with sweetened boiled monggo beans. 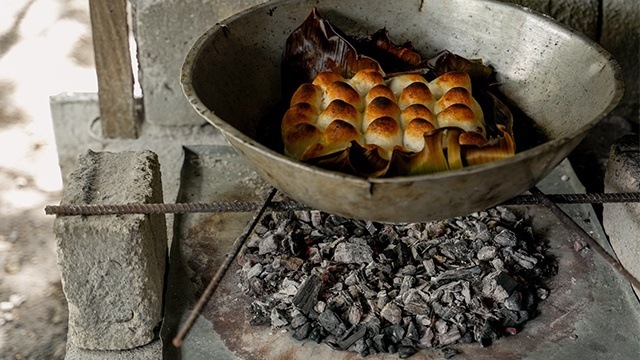 Instead of being fried like the buchi, it is cooked pugon-style with heat on top and at the bottom, much like how bibingka is cooked. A rich sauce made with coconut cream, langka (jackfruit), and sago is simmered over low heat and is poured over the Bibingkoy before eating. It is a medley of textures, a comforting blanket of creamy coconut sauce enveloping each chewy, sweet bite. It is best eaten warm, paired with a cup of steaming hot coffee or tsokolate. 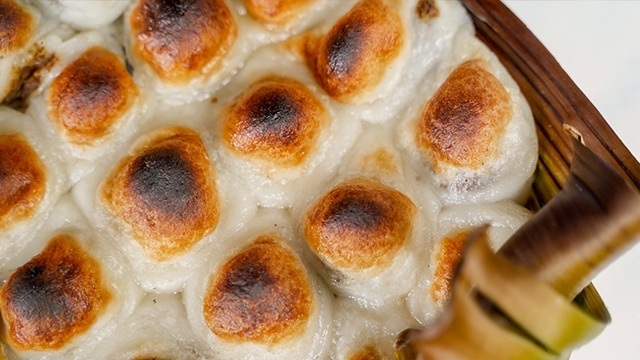 Bibingkoy is cooked like the bibingka: with heat on top and on the bottom. 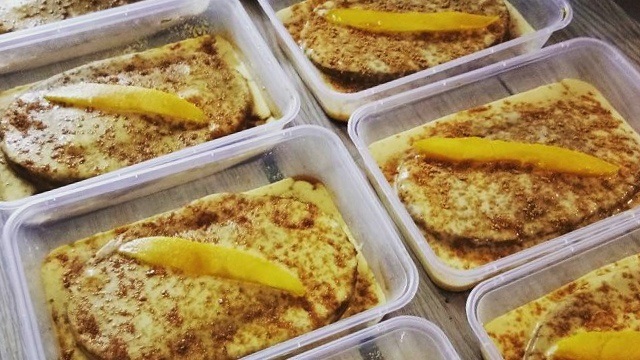 Mounds of sticky, sweet Bibingkoy can be found at Alink Ika's Carinderia in the Cavite City Public Market. "Lumaki na ako dito, tinuro sa akin ito ng nanay ko (I grew up making Bibingkoy. My mother taught me how to make this)," shares Lola Lolit, who is still spritely at her age. No one has been able to replicate their bibingkoy, Lola Lolit tells us, but you can find similar kakanin at the market and in Cavite City. 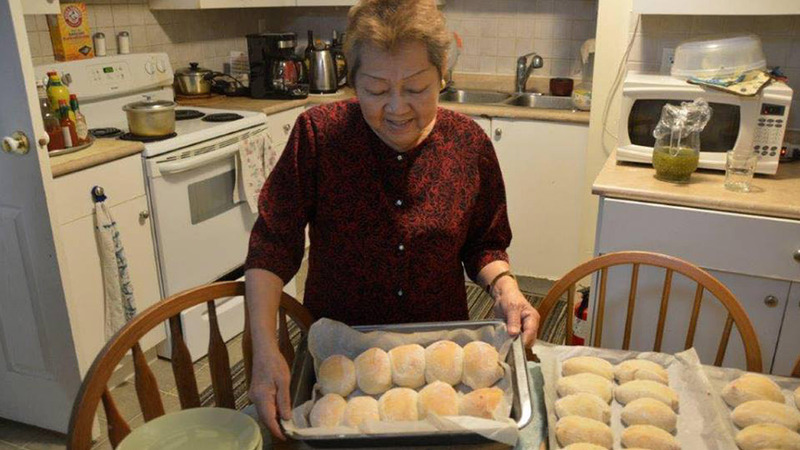 These days, Aling Lolit's children help her make Bibingkoy. Their days start early and weekends are much busier, since more people visit the market on weekends. "Pagdating ng tanghali, ubos na lahat ng paninda (By the time noon rolls in, almost all of our food has been sold)," she proudly says. The sauce may be poured on top or served on the side before eating. "Walang Bibingkoy sa ibang lugar, dito lang talaga siya sa Cavite City. (You can't find Bibingkoy in other places, you can only find it in Cavite City)," Aling Lolit reminds us. And on that day, we felt lucky to be served this delicious Pinoy delicacy prepared by Aling Lolit herself. 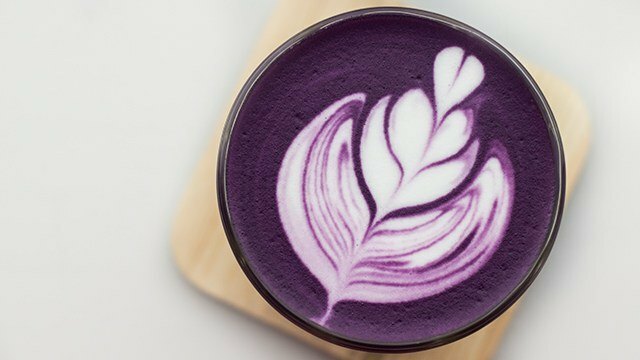 Ube Enthusiasts Will Love This Cup Of Ube Latte!